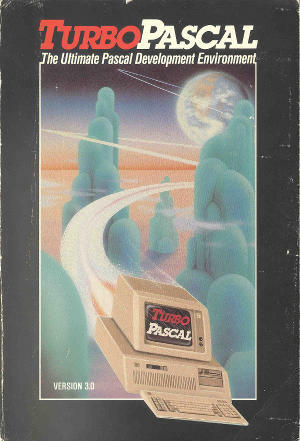 On this page I started a online version of the Reference Manual of TURBO Pascal 3.0, the last one that supports CP/M. Some chapters are actually OCRed and formatted, but I got lazy and made just PDF files of the scans. Chapter 22 The CP/M 80 specific chapter. The style sheet. All presentational contents is here. CSS2 compliant sofar as IE 5.5 supports it. Disclaimer: TURBO Pascal 3.0 is still copyrighted software, and this extends to the documentation too. But as the software is available, the documentation should be too. I'm not making any money out of this, but let me know if you have a problem with this page. Werner Cirsovius disassembled Turbo Pascal (presumably 3.0) and created a command line version of it.